Rendering of proposed Electric Works project. (FORT WAYNE, IND.) – City Councilman At-Large John Crawford addressed funding options for the proposed Electric Works project at a news conference this morning at Citizens Square. 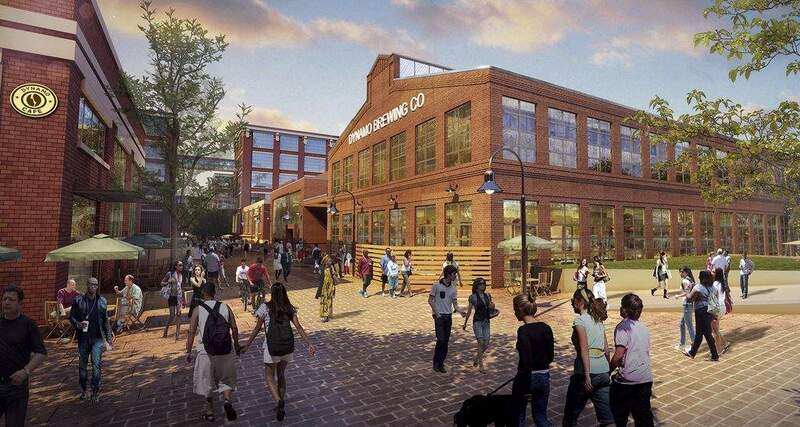 The project, to be built at the site of the former General Electric campus, is expected to cost about $221 million for Phase 1 and will transform the abandoned site on Broadway to a mixed-use development including commercial and residential space. At an April 11 news conference, Mayor Tom Henry asked Crawford to introduce a measure at City Council to spend $500,000 on legal fees. Citing other development projects such as Parkview Field, Ash Building/Skyline Plaza, the North River property acquisition and The Landing, Crawford said no mayor in Fort Wayne history has ever asked Council to direct him in how to spend legal fees on redevelopment projects.